February 2016 | Oh Sarah O ! Hello friends! 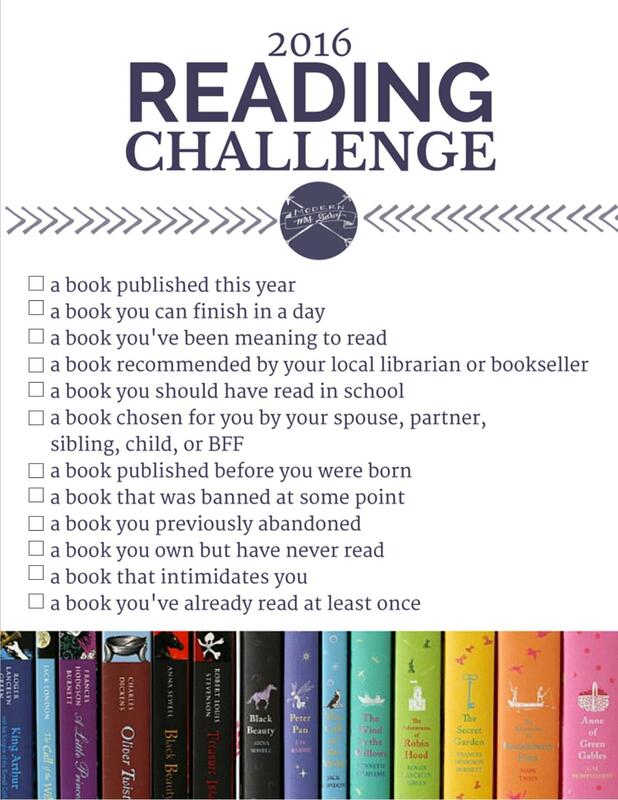 You all know that I love reading and I love a good challenge! 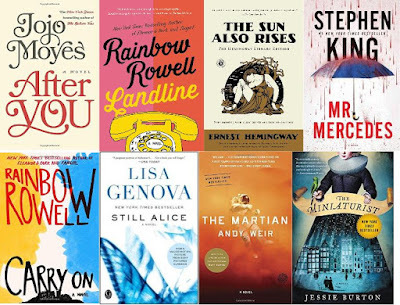 This year I discovered that Modern Mrs. Darcy has come up with a simple and easy reading challenge for those of us who want to add a little bit of structure to their book selection, but don't want to feel pinned down. Plus, it's totally doable because there are only 12 books on the list (that's only 1 book a month). In case you are unaware, Tracey Ullman is back on the BBC in The Tracey Ullman Show, a 30 minute sketch comedy show with brilliant impressions, poignant political humor and tons of fun. By far my favorite sketches on The Tracey Ullman Show are the ones where Ullman plays Dame Judi Dench, a national treasure, who is always up to no good. Check out a few Dame Judi Dench sketches below.